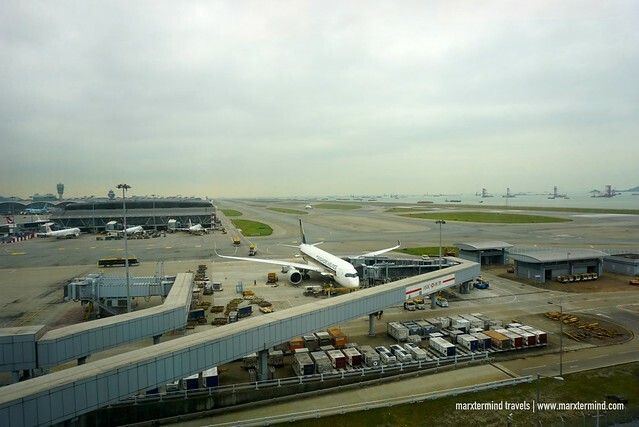 Because of an early morning flight to take the next day and a plan to visit Ngong Ping Village on our last day, we decided to stay near the airport. Location and time wise, it would be better and more convenient for us to stay nearby rather than going back to the city. So I searched online for a place to stay. One of the highly recommended is the Regal Airport Hotel. 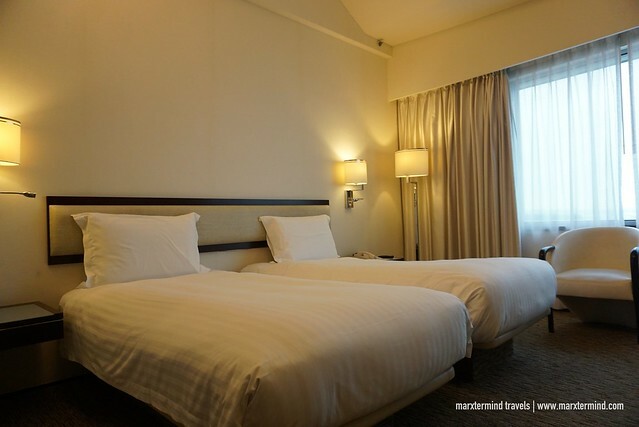 A transit hotel directly connected to the passenger terminal of Hong Kong International Airport, I found this accommodation perfect to spend our last day in the country. 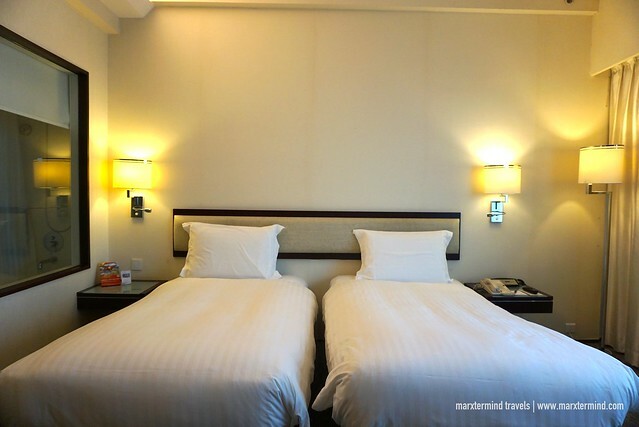 The hotel is a good place to relax and sleep with clean and comfortable rooms. It also features a complete range of recreational facilities. With superb guest rooms, excellent facilities and outstanding hospitality, it was indeed the best place to end our quick holiday in Hong Kong. A 10-minute Uber ride from the Citygate Outlets, we reached the Regal Airport Hotel. 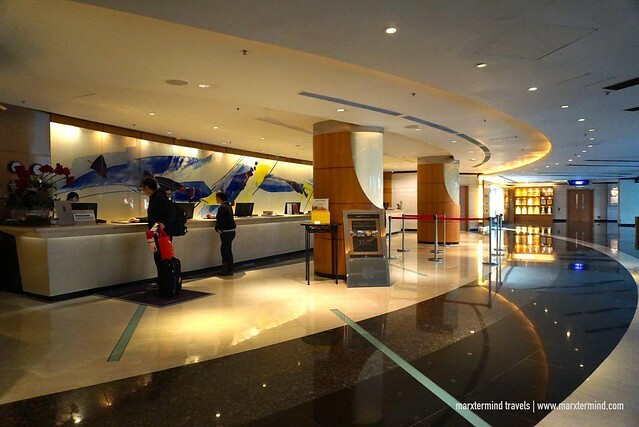 We went to the Executive Lounge floor, where we were advised to check in. Upon arrival, two lovely staff greeted us. I was asked to fill up a form. I completed the form with my information then presented my passport along. Then, the staff handed me our room key cards and told me some information about our stay – and our room. It was an Executive Club Room, which means we also had an Executive Lounge access. A room with a wonderful view of the airport runway, this was the Executive Club Room that we had for a night at the Regal Airport Hotel. It is not often that I can have a view like this so I was glad that the hotel gave us a room facing the runway. Aside from the view, what I also found impressive about our room was how spacious it is. The room was also very tidy. It comes with comfortable twin beds. Our room also has sitting area, small table, work desk, minibar and tea and coffee-making facilities. Other in-room amenities include LCD TV, telephone, alarm clock, iron and ironing board and safe deposit box. The room also has a private bathroom with a bathtub, hairdryer and necessary amenities. Designed with modern elegance and comfort, our room provided us a pleasant stay experience. The Executive Club Room was a very comfortable accommodation with comprehensive amenities that also made us enjoy our stay. The Regal Airport Hotel features 1,171 guest rooms. All have air-conditioning and smoke free. Room types are as follows: Presidential Suite, Royal Suite, Deluxe Suite, Duplex Suite, Apartment Suite, Spa Suite, Executive Club Room, Prime Deluxe Room, Premier Room, Deluxe Room, Superior Room, and Spa Room. Some of these rooms are also available in triple and quadrupled rooms that are suitable for family getaway. The top 3 floors of the hotel are Executive Club floors. For room rates and availability, you may check this link. The first time that I entered the hotel, I already felt that this is not just an ordinary transit hotel in Hong Kong. 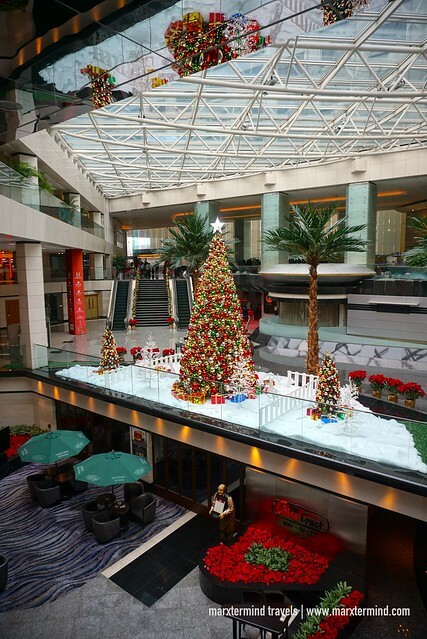 It has a huge lobby with several restaurants and bars and comfortable sitting areas. The hotel also features array of world-class facilities that I didn’t expect for a transit hotel to have. 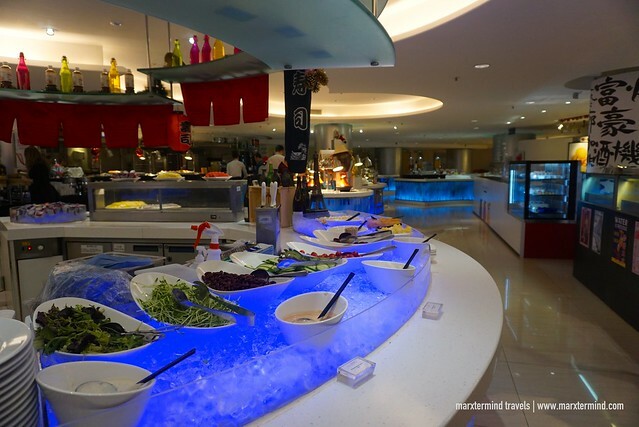 With six restaurants and bars, Regal Airport Hotel offers variety of authentic cuisine and delectable dishes. I tried one during breakfast. 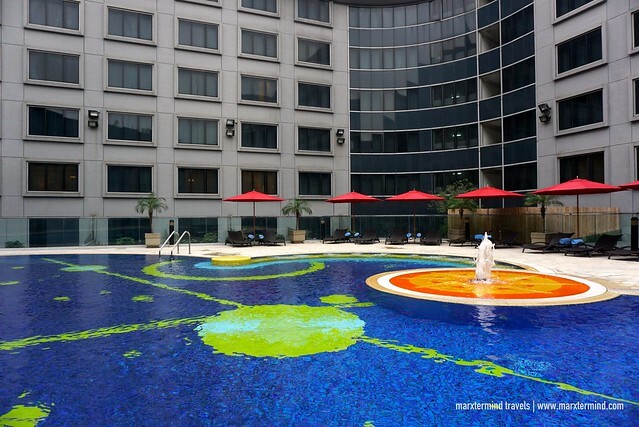 The hotel also has a complete range of facilities, which includes a spa, fitness center, an outdoor pool and an indoor heated swimming pool. Complimentary Wi-Fi connection is also available throughout the property. For guests traveling on business, the hotel also has top-notch meeting facilities with 30 function venues, including one of the largest pillar-free hotel grand ballrooms in Hong Kong. 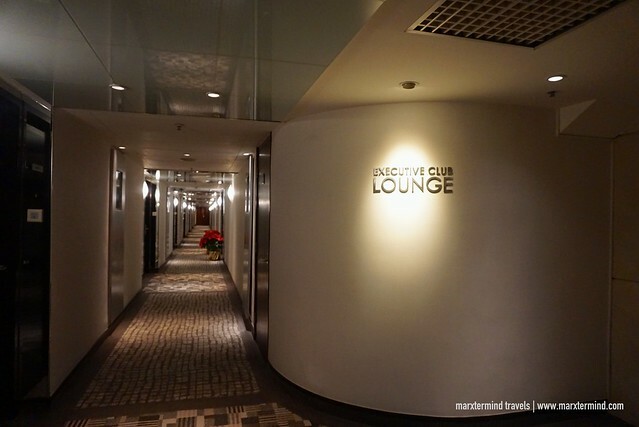 One of the privileges that we had during our stay at Regal Airport Hotel was access to the Executive Club Lounge. We have complimentary access to the lounge area for snacks, evening cocktails and breakfast. My mom and I visited the lounge during the evening snacks and drinks. The lounge was quiet and cozy, which is a nice place for us to unwind after we had our tour in Ngong Ping Village. The lounge also offers great choice of snacks and beverages. We enjoyed the food, chips and some of the sweet treats. 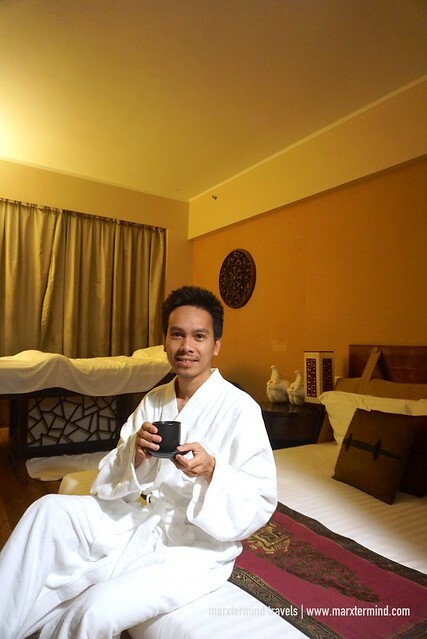 One of the things I love about Regal Airport Hotel is its spa facility, the OM Spa. During my stay, I was able to try one of their spa treatments. After having some snacks and drinks in the lounge, I went to the spa and had a relaxing treatment. I needed this after feeling tired exploring Hong Kong for two days. 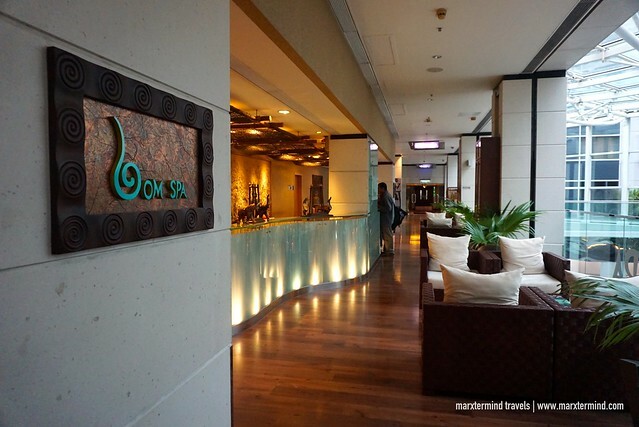 OM Spa is a luxurious spa facility offering extensive massage and facial treatments. It has 19 spa rooms and 2 suites. 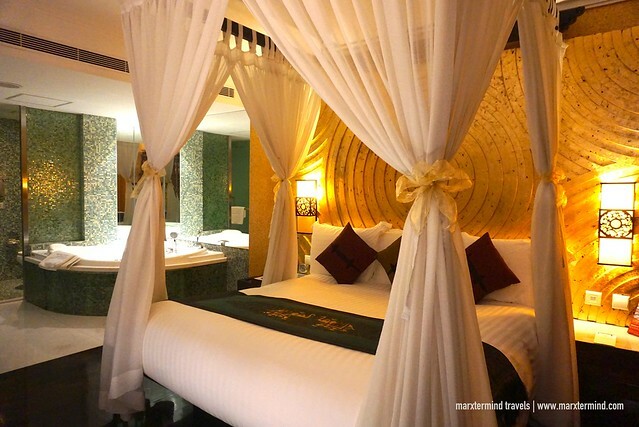 The facility is in a contemporary Thai style with soothing sense of harmony, comfort and serenity. 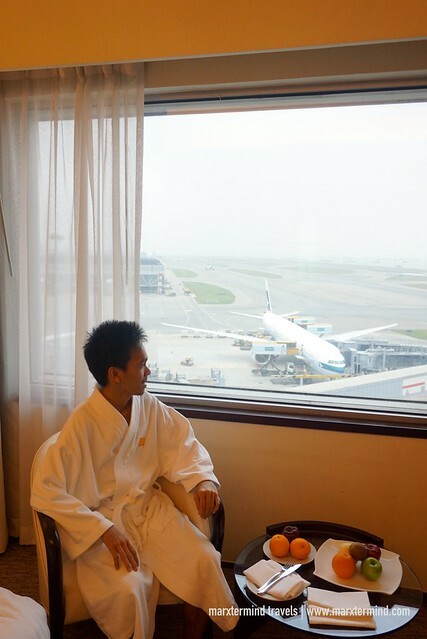 The spa is a perfect getaway to unwind, either you’re traveling or while in transit in Hong Kong. OM Spa offers packages and treatments adapted from Thai tradition with unique skill, a genuine passion for guest care and a personal understanding of each need. Some of the treatments include facials, body massages, scrubs and wraps, foot massages, therapies and luxurious baths. I had the OM Spa Signature Massage. Before the treatment, the therapist asked me to fill up a form with my details and my preferences like the pressure, and what oil to use. Choices are lemon grass or lavender oil. I asked the therapist I just wanted a mild massage. She was very nice and caring that she even asked me what body parts needed more focus for the treatment. It lasted for an hour – and was one of the best fully body massages I had in my life. The therapist was really good. The stress and pain on my back, neck and shoulder were relieved. Café Aficionado serves international à la carte menu, a variety of seafood, a carvery and fresh juice bar. 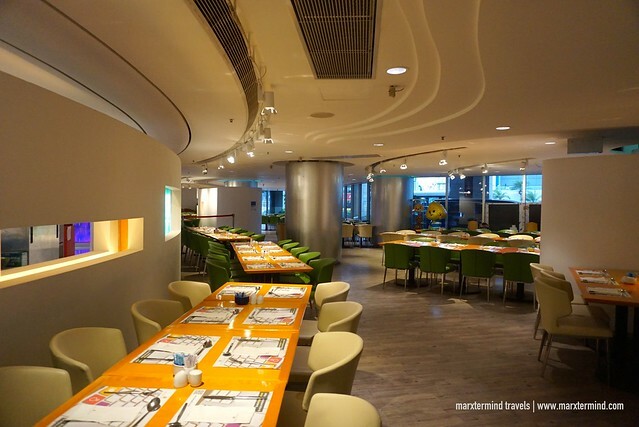 This is also the restaurant where guests of Regal Airport Hotel can have their breakfast. The buffet includes all-time breakfast favorites like cereals bacon, bread and pastries, sausage and more. There are also Asian selections and some international dishes. 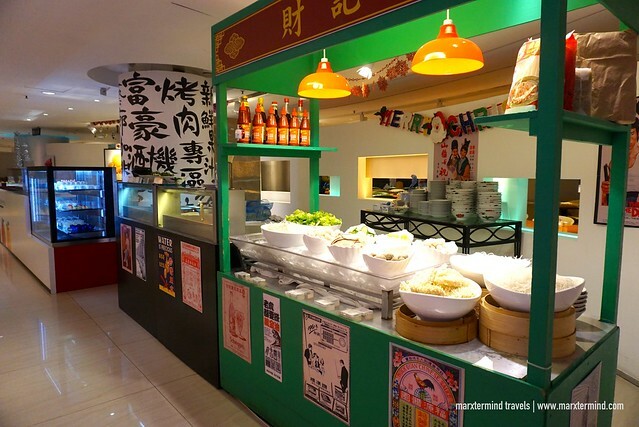 The breakfast also includes hot-pot and halal corner. Staying for a night felt like too short to enjoy everything that Regal Airport Hotel has. It has a variety of facilities and comfortable accommodations that makes this place more than just a transit hotel to me. 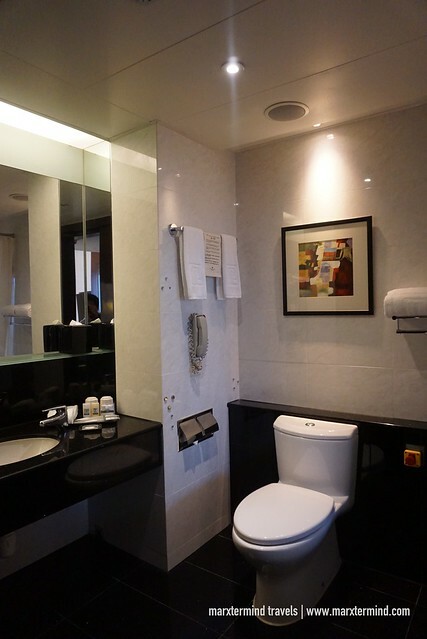 It’s a wonderful hotel in Hong Kong giving us the comfort, conveniences and luxuries. 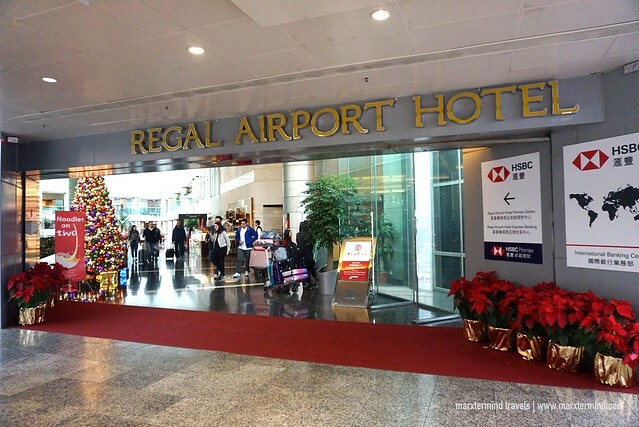 Regal Airport Hotel is an airport hotel directly connected to the passenger terminal of Hong Kong International Airport. It has 1,171 guest rooms and suites with contemporary design and comfort ensured by the double-glazed soundproof windows and comprehensive in-room amenities. The hotel also features world-class facilities. Previous story How to Apply for a Canada Tourist Visa in the Philippines?